In today's world, during their schooldays children and young people not only need to gain knowledge and skills but also to learn how best to look after their physical, mental and emotional wellbeing so that they can flourish, be happy and maximise their true potential. We provide engaging, character-building, values-themed teaching materials for ages 4 to 14 that blend with the school's curriculum as learners explore how values have shaped the past, how they are influencing the present and how they can learn to choose and use life-enhancing values in their day-to-day lives to guide their thinking, decision-making and behaviour so that they feel good about themselves and achieve in all contexts, whether at school, at home or in the wider community. 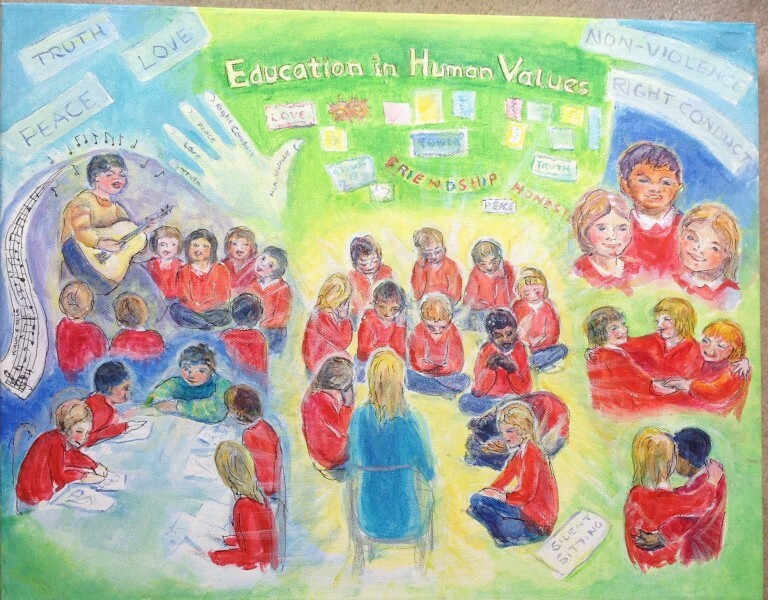 The effect of this integration of personal development with academic learning is to nurture well-rounded, healthy young people who can thrive and use their energy, talents and competencies to be the best they can be, build and maintain meaningful relationships, make positive contributions to society, appreciate the rich tapestry of different people and cultures and be good stewards of the environment now and for generations to come. Teaching young citizens to look after their wellbeing pays dividends for everyone. Can i stop a montly donation to a foundation immediately?